Barre class can be a fun and challenging way to strengthen your legs, while enjoying some of the best that dance, yoga, and Pilates has to offer. However, the terminology can be confusing. 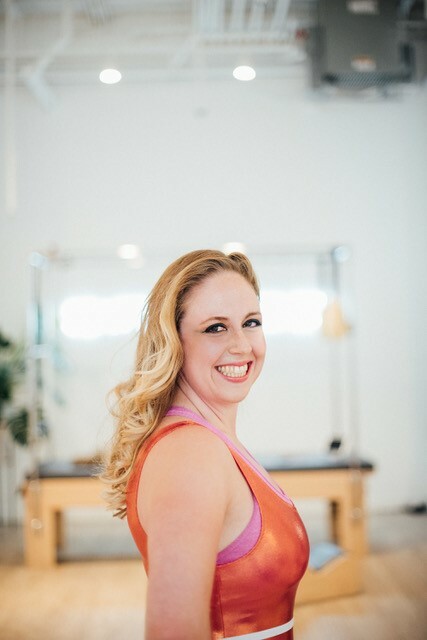 If you've ever wondered what the difference was between a plie and a squat or felt uncertain about if you should have a neutral or a tucked pelvis, Pilates teacher and Balanced Body Bodhi Master Instructor Nikki Naab-Levy is here to help. Watch the video and take the guesswork out of your technique and barre like a boss the next time you take class! Nikki Naab-Levy is a Pilates teacher and massage therapist for people who aren&apos;t zen, hate green juice, and are allergic to words like self-love (but kinda need it.) She has over a decade of helping people build strength, improve mobility, and overcome injury. Nikki holds a B.S. in Exercise Science and a B.S. in Journalism from Ohio University and is a Master Trainer for the Balanced Body Bodhi Suspension System. Her fitness wisdom has been featured in The Huffington Post, Greatist, Girls Gone Strong, and Men&apos;s Fitness. When she&apos;s not teaching a sneaky hard Pilates class, you can find her hiking in the Pacific Northwest with her husband Kc, freelance fitness writing, and chain-drinking Americanos. For practical fitness advice + workouts that don&apos;t hurt, visit her website NaabLevy.com or check out her podcast Moving Well on iTunes or Stitcher.